In 2015, Katie won third place in the International Chopin Competition! Kate performed on Show 238, recorded in 2011, at age 17. 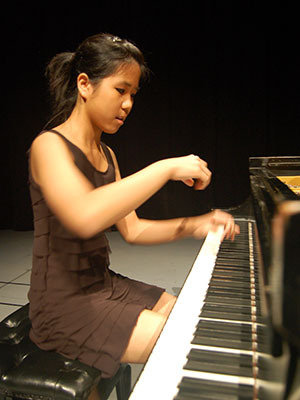 Kate Liu (piano), age 17, is from Winnetka, Illinois and has been playing the piano since she was 4 years old. She is a member of the Music Institute of Chicago’s Academy program for gifted pre-college musicians, and she studies with Alan Chow. Kate was a finalist in From the Top and Carnegie Hall’s Big Break YouTube contest last fall. She has won awards at the 2010 New York International Competition and the 2010 Thomas and Evon Cooper International Competition. Outside of music, Kate enjoys drawing, reading, watching movies, and going out with friends.